Today is the day when people around the world are joining together as we give back to our church, our community and to people in need. The Companion Synod Network is pleased that we can use this day to launch out efforts to join with our sisters and brothers in Tanzania. The SACCOS campaign will enable so many ordinary Tanzanians make their way out of poverty and boost their standard of living. 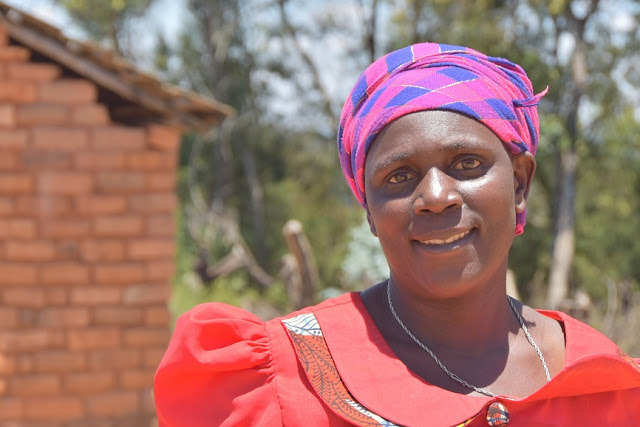 Anzetye Longo is another example of people who have already been helped through their SACCOS membership. Anzetye is a 52-year old widow with 6 children and 10 grandchildren. She has been a member of her SACCOS since 2013 and has taken out many loans. Her first loan was for $75 which she used to buy some kangas (a type of cloth) in Iringa to resell here in her village of Ugesa. She did well at this and has since borrowed to increase her stock, gradually building up her business. She now has a duka (shop) where she sells kangas, pots and pans, and general household goods. She has bought some land and is starting to build herself a larger shop. So far she has invested $1,500 of her profits in her business which continues to grow. This year she will probably earn over $1,000 from her shop. We want to establish 8 new SACCOS in southern Tanzania to make micro loans available to many more Tanzanians. You can help. If you haven't already made a gift, click the button below. You can make a difference in the lives of Tanzanians who are working to improve life for themselves and their families. Your contribution will truly be a God-pleasing gift!